I am so very excited to finally share Dacy + Cody’s beautiful, love-filled Cooper Chapel Arkansas Wedding with you today! I have been connecting with these two sweet souls for quite a while now…we’ve been chatting for over a year, I did their engagement photos last summer (check them out Here – Bentonville Engagement Session) and Dacy’s Crystal Bridges Bridal Portraits this past fall, so it has been quite a journey! I’ve loved watching Dacy + Cody interact and love on each other over the past year, and I am so thrilled for them as they start their married life together. And just like on their wedding day, they will be surrounded by family and friends who will be loving and supporting them all along the way. This wonderful couple’s day started with a wonderful, laughter-filled day of friends at Lakepoint Event Center – a beautiful new Arkansas wedding venue in Bella Vista, AR. Dacy wore a stunning mermaid Lazaro gown with a corset bodice and really gorgeous beading and jewels along the sweetheart neckline, and the most stunning draped strings of beads all along the open back – and it was perfectly exquisite on her! The bridesmaids wore a variety of blush and gold glittering formal gowns. Cody and his groomsmen wore charcoal grey suits. The ceremony was held at the famous Arkansas wedding venue, Mildred B Cooper Chapel, which is easily one of my most favorite architecturally beautiful chapels I’ve ever had the pleasure of shooting in. We finished up the day back at Lakepoint for a great celebration with family and friends. I hope you enjoy the photos as much as I enjoyed taking them. Make sure to leave the happy couple some congratulations in the comments section below. * Christy Hendrick, of Simply Bliss Photography, is a creative wedding photographer, engagement photographer and portrait photographer in Northwest Arkansas who specializes in wedding and engagement photography. 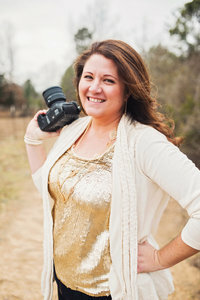 Christy is known for unique, timeless wedding photography in Northwest Arkansas and currently lives in Rogers. Christy is also a well-known wedding photographer in San Diego, CA as well and loves shooting coastal weddings whenever she can. Christy is currently booking 2018 & 2019 Weddings in Fayetteville, Bentonville, Siloam Springs, Rogers, Springdale, Eureka Springs and all of NWA as well as San Diego, CA, St. Louis, MO, New York City, and beyond. She is available for wedding work nationwide and internationally.